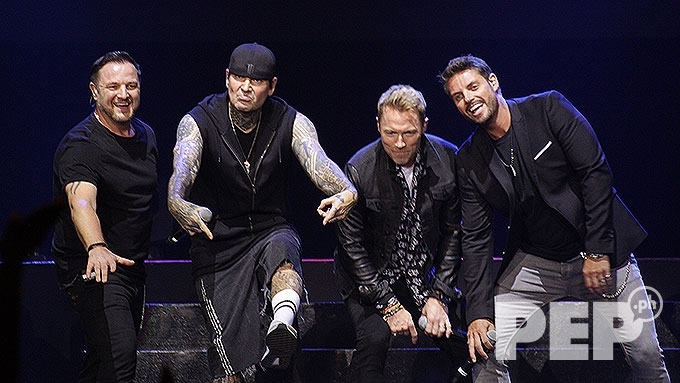 Irish boy band Boyzone—composed of Mikey Graham, Shane Lynch, Ronan Keating, and Keith Duffy—returned to Manila after three years for their 25th anniversary and farewell concert dubbed as Thank You & Goodnight Tour held at SM Mall of Asia Arena on August 26, 2018. 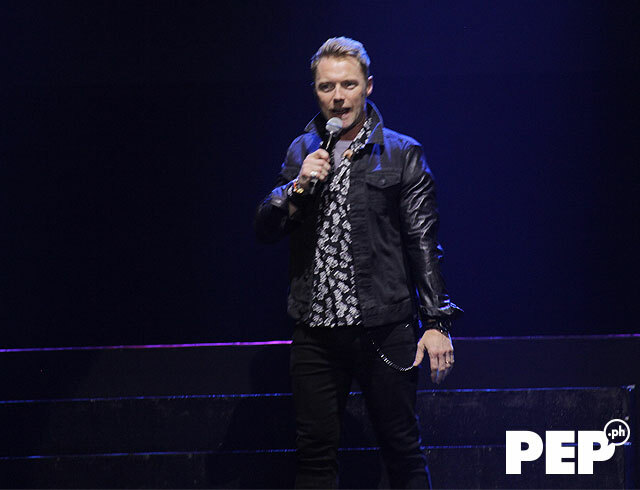 Filipino concertgoers took a trip down memory lane as Irish boy band Boyzone performed their biggest hits at their 25th anniversary and Farewell concert dubbed as Thank You & Goodnight Tour. 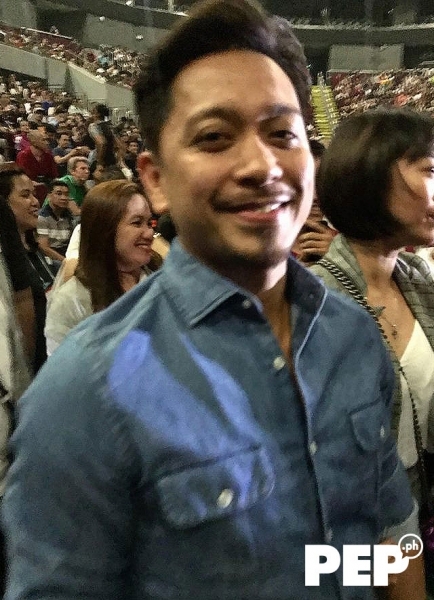 Hundreds of their most loyal fans gathered at SM Mall of Asia Arena in Pasay City on Sunday, August 26, to see the final leg of their Asian tour presented by Ovation Productions. 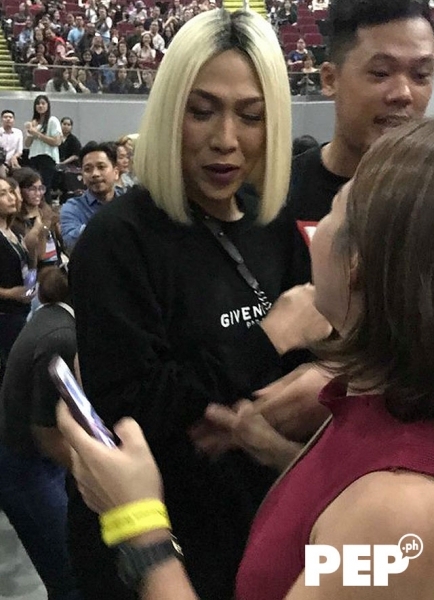 PEP.ph (Philippine Entertainment Portal) spotted several celebrities at the concert including It's Showtime host Vice Ganda. Vice Ganda was accompanied by his co-host and FPJ's Ang Probinsyano actor Jhong Hilario. PEP.ph also spotted former Miss Universe Philippines titleholder Rachel Peters on a date night with her longtime boyfriend and Camarines Sur Governor Migz Villafuerte. 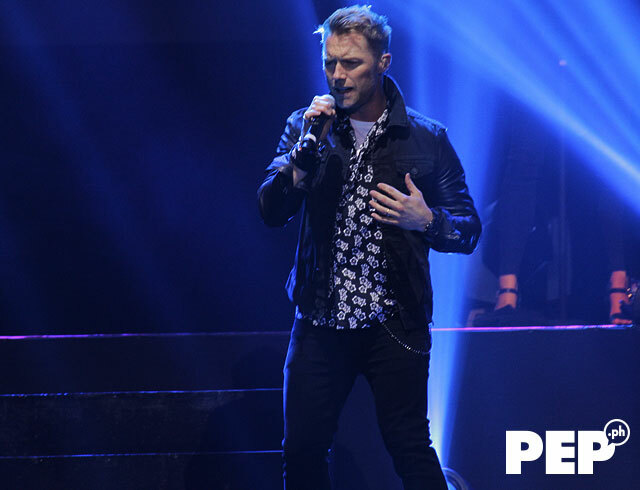 Pinoy fans definitely had a blast while watching the Irish boy band—composed of Ronan Keating, Keith Duffy, Mikey Graham and Shane Lynch—perform their chart-topping hits. For around two hours, Boyzone treated their fans to over 20 performances. 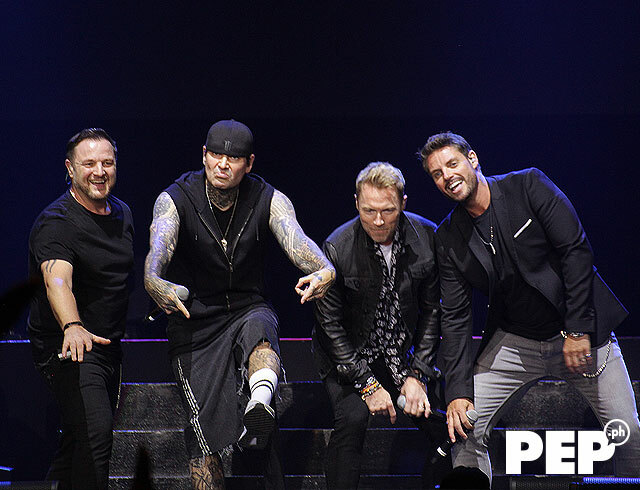 The boy band kicked off their concert with the song "Picture of You" from their 1996 album A Different Beat. The crowd sang along as they performed some of their most recent tracks including "Love You Anyway" and "Love is a Hurricane." At one point, Keith greeted the fans who patiently waited for their comeback to the Manila concert scene. Their last visit to the country was for a concert way back in 2015. Keith told the crowd, "Manila, how are you doing? It's so great to be back in the Philippines. "It's amazing to be here. Twenty five years later, to come all the way to your country, to come to the Philippines, to come to Manila, and to get a welcome like this, thank you so much. "Thank you so so much." The quartet also rendered their versions of Billy Ocean's "When The Going Gets Tough," Anne Murray's "You Needed Me," and the Bee Gees hit "Words" during the concert. 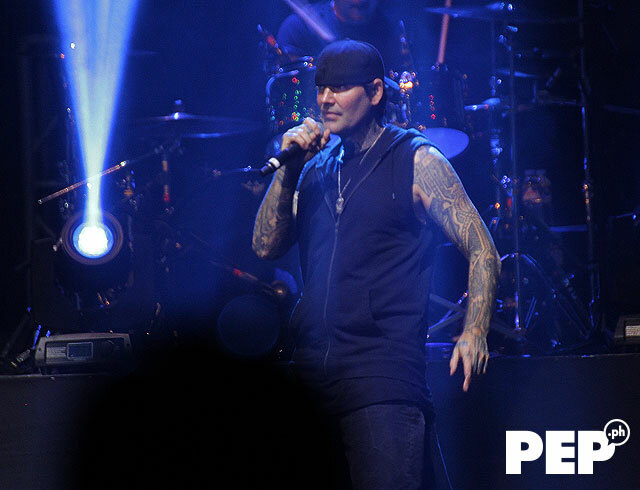 Their set list also included their original songs including "All That I Need" from their third studio album Where We Belong, "Gave It All Away" from their 2010 album Brother, and their chart-topping hit "Everyday I Love You" which was released in 1999. Their set list also included their originals including "All That I Need" from their third studio album Where We Belong, "Gave It All Away" from their 2010 album Brother, and their chart-topping hit "Everyday I Love You" which was released in 1999. 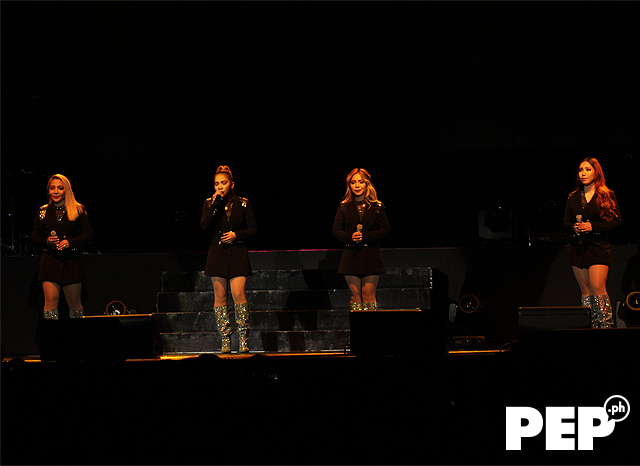 One of the concert's biggest highlight is their cover of Tracy Chapman's "Baby Can I Hold You." 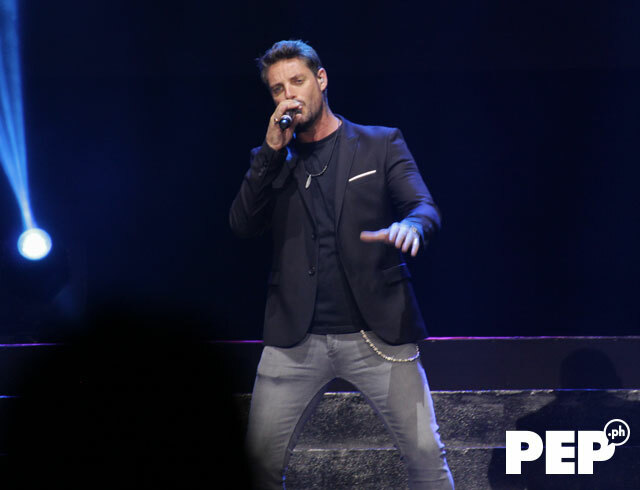 After the song, Keith told concertgoers that he felt the presence of their late member Stephen Gately when a butterfly flew across the stage. Keith said, "It's great to be here, but like I said earlier on, when the four us perform together on stage, we really feel that Stephen Gately is with us. The 43-year-old singer continued, "It was a really amazing moment and it's quite emotional to me. We believe that Stephen Gately... You know, Stephen always loved butterflies. "And when we went to our first tour after we lost Stephen, we were in the middle of our rehearsals, we were all a bit sad. "Because it was new to us to work together without Stephen. "And one day, this little butterfly just flew through the rehearsal room, and we kinda just felt that that was Stephen. "That he was still with us. He was showing a sign that he's still with us. "And it's our last night tonight, and we sat there singing 'Baby Can I Hold You' and I don't know if you saw but a butterfly just flew across the stage. "So we know, that Stephen Gately is in the house tonight. He's here with us." Towards the end, Keith expressed how much he missed his bandmate by saying, "We love you and we miss you." 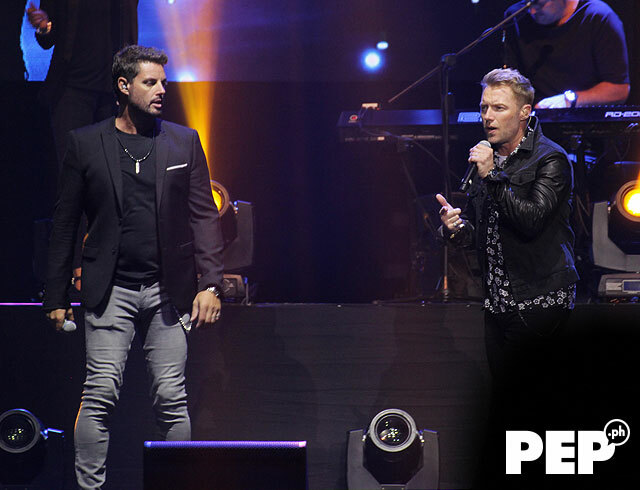 For their last few songs, Boyzone performed "Because," "Love Me For A Reason," and ended their set with "Who We Are." Ronan, Keith, Mikey, and Shane went back onstage for their encore performances of the "Different Beat" and "Rollercoaster." 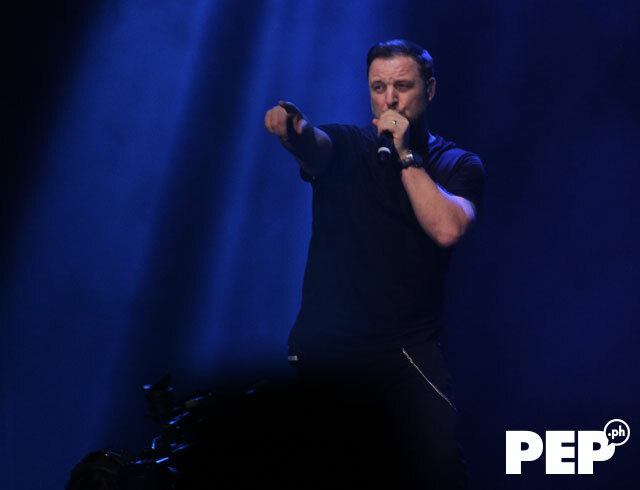 OPM acts opened the concert stage for Boyzone. X Factor UK 2015 finalists 4th Impact impressed the crowd with their powerful vocals with their performances of Loren Allred's "Never Enough"; Beyonce's "Love On Top" and "Crazy In Love"; and Nicki Minaj, Jessie J, and Ariana Grande's "Bang Bang." 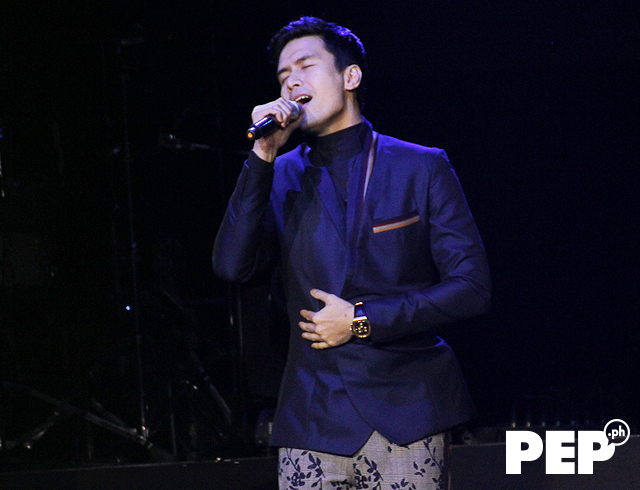 Meanwhile, Christian Bautista serenaded the crowd with his songs titled "Beautiful Girl" and "The Way You Look At Me." 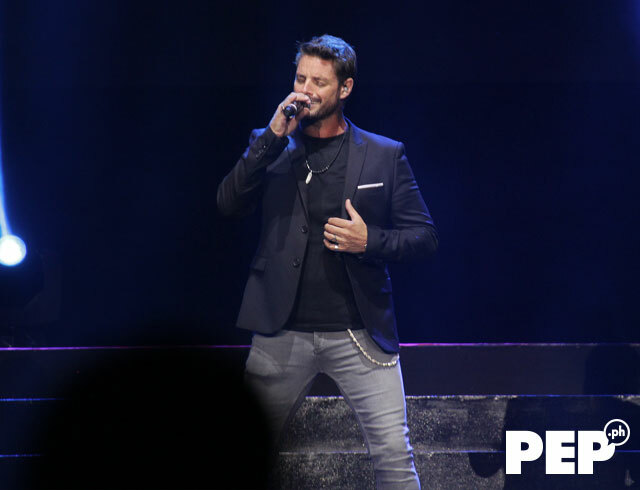 The singer dubbed Asia's Romantic Balladeer was also lucky to perform the song "No Matter What" with Boyzone. 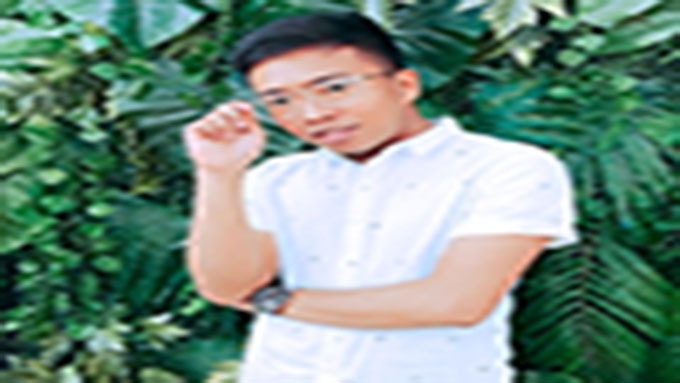 The 36-year-old Pinoy singer sang Stephen's parts in the song.